Type your city/state and/or zip code and see how visible your practice is for the terms your customers are using to find an optometrist in your community. Very cool! Use your reputation to generate trust and encourage people to visit your office. 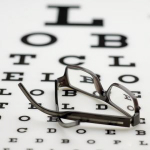 If your practice is not showing up for the most common terms patients use to find an eye doctor, you can do one of three things. 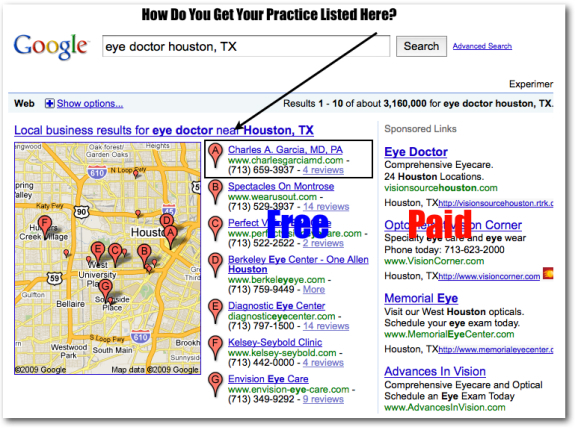 There are local search marketing specialists who can do this for you. Be very, very careful who you hire however because you’re going to have give them your user names and passwords. If the process seems too difficult or risky, we can help. We can teach you and/or your staff how to use your business listing to generate even more business. Consider our Gold Package. Or, suggest that we speak at your next convention and learn how to build your business with your peers.